This course explores more advanced principles of Visual Merchandising. Including fashion brand styling, in-store visual merchandising, product presentation and store layout principles. Presenting the importance of creating a harmonious store layout and how this can help to enhance the in-store customer flow. Students will apply these principles to design their own design window and linked in store promotional space following a set project brief. Classes are held in an online virtual classroom, using the online video conferencing program, Zoom– providing a live interactive experience between the student and tutor. Students and tutor can share screens to view presentations and feedback on student’s course work. This Course is designed for those with previous Visual Merchandising /Retail experience or those who have already attended our Beginners Online Course. Practical task of designing your own Promotional Space linked to a window installation using a design medium of your choice. The project brief is set at the end of your first lesson, which can be completed over the first week and submitted on your second lesson. 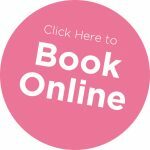 Online Courses can be booked on dates which work for you. Please check my website calendar to check my availability. Please contact me directly to arrange a suitable date for your Online training using our contact us form or call me on 07976 575847 , I look forward to hearing from you!